A working environment is as important as the idea itself. 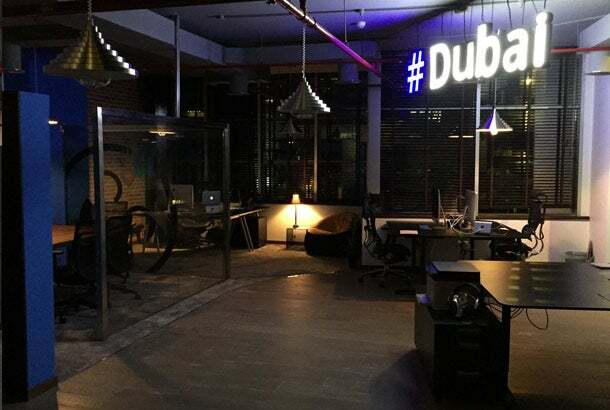 As the spearhead for tech startup Brndstr based here in Dubai, I wanted to talk office space this time around. Over the past nine months I have been giving my opinions on everything startup, from raising the seed to signing the first deal. Having just recently moved into our first "proper" offices, I wanted to talk about the importance a workspace has to the success of your company. Brndstr has been in operation just over a year now, and it wasn't until last week we collected the keys to our brand new, super cool, startup-styled office space. Why wait so long before getting the office ready to move in? As an entrepreneur, it's common to follow and in some ways copy what your inspiration does. From the look and feel of the brand to how the product or service is sold - this too can be the case for your office space too. When turning that idea into reality and if you go down the funding route, getting investors to believe in the idea- you need to bring it to life. You'll spend time shaping and molding your look and feel of the brand, and it's important to remember that the working space your new HQ has needs to have the same vibe in order for everyone to truly be immersed in the experience. As a tech company, and with my hometown being London, I knew I wanted to make Brndstr feel like you were in a tech stereotypical office that would be common to see in say, New York, London or San Francisco. We went for the loft office converted warehouse approach to give both our clients and staff the feeling that they were living the real tech startup dream by working for Brndstr. I personally have had a big interest in startup cribs for quite some time, and during a trip to Silicon Valley early this year was lucky enough to see the offices of Facebook, Google, and Twitter. In my opinion, the reason these guys are so attractive to work for is that when you think of them you hear of the cool perks and features that come with the office. The truth is that when you are getting started, splashing out on big screens, nice furnishings and creating the super cool space costs coin. It is also not going to make or break the startup in the early days- it is merely a bonus and statement. This is the main reason it took Brndstr over 15 months to move in and create the dream space. Our focus was to prove the idea worked, and to get clients on board. Brndstr now has a solid base of clients including CNN, MBC, UBER, Sheraton Hotels, and Infiniti to add to its portfolio. We have 10 staff, three iOS apps in the store, a polished brand, an attractive website, and we have raised enough seed funding to build the office without scraping the barrel for pennies. For anyone looking to venture into the startup world or to founders of recently launched companies my advice is plan, imagine, and take inspiration for your dream workspace. We all love the idea of a nice desk, a shiny MacBook and a comfortable setup- just at first this is not the main focus. During the incubation period, print massive logos and quirky branding, stick them around the office and make sure that when you walk the office you know who you are and what you do. This will give confidence to both you and the staff. The 'real' HQ will soon come. Remember: Rome wasn't built in a day, and neither was Google, Facebook or Twitter. Good luck fellow 'treps, and see you next month!